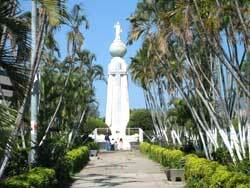 San Salvador, the capital of El Salvador, is one of the cities with more commercial movement in Central America. Its population reached 2 million by 2004, which is in the "Big San Salvador" as it is known and which also includes the neighboring municipalities of Soyapango (most populated one), Ilopango and Mejicanos, among others. San Salvador is growing at a very fast pace; there are many new buildings, one of the biggest malls in Central America, a convention center where the international fair is held every other year, etc. 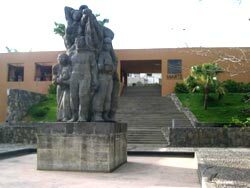 You can visit the museums of Anthropology, Children's Museum "Tin Marin", aviation, military, science, natural history and zoo, among others. 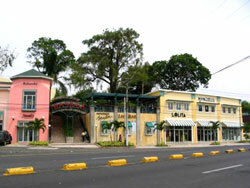 You can also visit the historic center downtown (preferably during the day), botanical garden, etc. After having seen the San Salvador during the day, we suggest you go out for dinner to any of its many restaurants that offer a wide variety of cuisine from typical meals to International, gourmet food. The nightlife includes dancing at discos or simply enjoying live music performances, specially around the "Zona Rosa" and at the recently inaugurated malls. 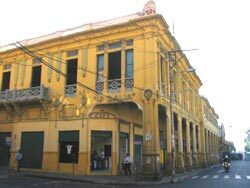 In Downtown San Salvador, you'll find the main square "Morazan", across from the Cathedral, The National Palace, and the National Theater (which in 2001 was severely damaged during the earthquakes).